In animated movie 'The Sword in the Stone', what does Merlin call The Greatest Force on Earth? In 'Peter Pan', Captain Hook had a hook on which one of his hands? 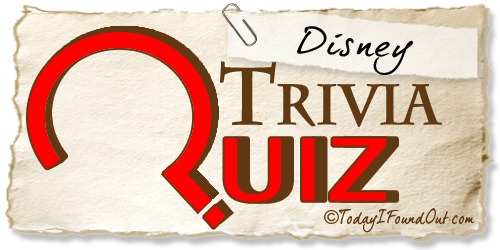 What are the names of Walt Disney's 3 Brothers? In Beauty and the Beast, how many egss does Gaston eat for breakfast? During the battle with Aladdin, what type of animal does Jafar transform himself into? In Toy Story, what game does the slinky play? When Walt Disney World opened in October of 1971, who gave the opening day speech? What is the name of Donald Duck's sister (Also the mother of Huey Dewey & Louie)? What was the first fairy tale that Walt Disney made a cartoon about?